Black Cohosh Review (UPDATED 2019): Is it Good for Weight Loss? Black Cohosh Review: Is it Good for Weight Loss? 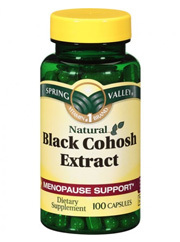 Black Cohosh is intended to treat menopause symptoms as well as provide an all natural estrogen source. It has a long history within Native American folk medicine where it was used for several remedies as an anti inflammatory and immune system booster. While it currently serves a completely different purpose than what past intentions were, it still has a newfound intended use to aid in many afflictions suffered by women. Although Black Cohosh isn’t new, there are recent studies done on its effects and reach. So is there use for it? Let’s reveal what we found. Several companies have this extract in varying degrees of strength. Due to the lacking evidence of intake capacity, companies range in their addition of this ingredient. It is highly recommended to talk to a medical physician before taking as it can cause unruly changes to hormone levels. In some areas of the world there is a mandated warning label declaring possible liver complications when taking this product. For example in the US there is a warning of watching how your liver responds and to immediately discontinue use if the product leads to any side effects. Triterpenes are found within Black Cohosh which promote weak estrogen like effects that tame the negative effects of overactive estrogen, while still supplementing the lowered estrogen levels inside the body. However these studies aren’t well documented and the full effects that it may have are still limited. The basic gist is that it can promote hormones naturally as opposed to creating an artificial increase in the body. This in turn allows a cheaper alternative to hormone therapy. Due to lacking evidence of long term and short term results there is a weak acceptance in the medical community for this ingredients usefulness. It is often regarded as possible effective but without sufficient evidence to allow recommendation. There’s a widely held opinion that supplementing with this should be done with close inspection of a medical professional. In order to satisfy demands we’ve accumulated alternative products better suited that don’t require strict supervision. Black Cohosh: This herbal extract has been introduced as a way to support healthy estrogen function. 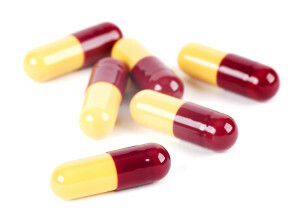 Potential Side Effects:Sweating, diarrhea, vomiting, rash, weight gain, vaginal bleeding, rapid heart rate, constipation, headaches, dizziness, nausea, low blood pressure, and seizures. Has naturally occurring molecules that can help retain bone density in some. There have been just a few reliable studies done and very few have tested the long term effects. One 5 year study showed a slight increase in hormone related diseases while other short term studies have shown little to no results. This lack of consistent results leads to many questions as to this ingredients effectiveness and even safety. There is also a warning on US labels that if one would to suddenly suffer from liver pain that discontinue use is recommended. This is because some have reported problems related to liver failure that may have been caused by this ingredient. Currently there is conflicting information that does either shows this will work or that it will not work. With so many unknown possibilities it makes it hard to accept this product as a functioning substance. It raises caution before taking, due to the nature of how hormones work in the body and the potential for unwanted effects. Some have also said this product works as a treatment to breast cancer while recent studies have shown it does not. All these studies that have been reported often have very mixed results and it places a lot of responsibility on consumers. Due to lacking evidence it is hard to embrace it as being potentially useful. There is a lot of history but unfortunately recent studies have yet to prove its worth. With the stated increase of estrogen it then becomes a hormonal change that needs to be tracked by a medical care professional. In order to properly figure out how this product will work it will require a lot of maintenance. This comes at a price since you won’t know what the long term effects are and you won’t know how it will effect you exactly. Therefore there are too many unsolved mysteries involved that need to be answered before safely supplementing. Though the product does offer a full list of positive benefits, it does not prove it and some studies have shown no results. 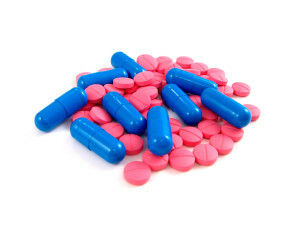 This wouldn’t be troubling had it not been for the potential risks, therefore it becomes important to supplement with supplements with a history of safe usage. Instead of taking the a unknown substance we recommend alternatives. All natural solutions that have all your questions answered. Whats better than Black Cohosh?